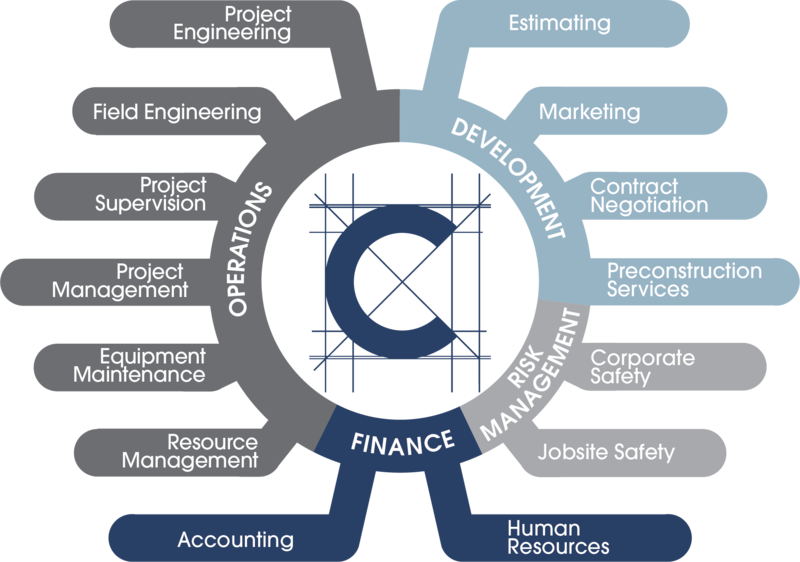 At Century, our people are our most valued asset, possessing the expertise that sets us apart. Our culture is one of discipline and collaboration as customers rely on our technical knowledge and assistance in planning, scheduling and constructing complex projects. We need strong teams to accomplish our goals, which is why we recruit the best and brightest talent and are committed to promoting leaders from within the company. We believe employees thrive in environments with opportunities to grow and take ownership and pride in their work. As our finest assets, Century employees are empowered through investments in training and development which provide opportunities for personal advancement. Century employees can expect a challenging and rewarding experience as we uphold our mutual commitment to excellence. Century offers competitive salaries and a comprehensive benefit package including medical, dental, life insurance, paid time off, 401K compensation and more. Century's operations require the energy of dedicated employees at all levels of the organization. View our current job opportunities to discover how you can join the team at Century Concrete. Don't see what you're looking for or just want to submit your resume? We are always in need of qualified carpenters, operators and finishers - submit a general application here.